The King-Tisdell Cottage Foundation, Inc. (KTCF) and Honorary Chairman Cathy P. Hill, Region Vice President for Georgia Power A Southern Company, announce that the 14th Annual KTCF, Inc. Awards Gala will be held Saturday, September 24, 2011 at 7:30 p.m. at the Hyatt Regency Savannah. A reception will precede the gala at 6:30 p.m. KTCF, Inc. recognizes individuals and organizations committed to advancing our society through historic preservation, fine arts, public service, education, and perpetuating the legacy of W.W. Law. The five awards and recipients are: Leopold Alder II Historic Preservation Award – Attorney Brooks Stillwell – whose real estate law application, Historic Savannah Foundation work, and Savannah Economic Development Authority leadership have helped preserve buildings, objects, landscapes, and artifacts that define Savannah’s Southern Coastal City historic value. King-Tisdell Cottage Fine Arts Award – Joseph H. Conyers – Savannah native and first African-American hired by the Philadelphia Orchestra in 36 years, an accomplished orchestral musician with exceptional musical talent that which he uses to compose his own rendition of community engagement for promoting cultural exchange. 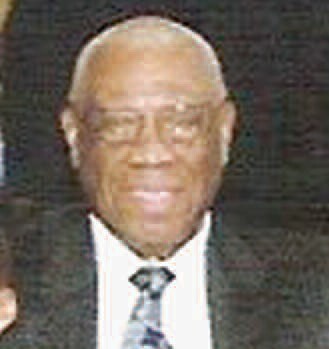 Reverend James M. Simms Public Service Award – David F. Richards, Jr. – for decades of distinguished service to the country and Savannah community while serving as a military officer, community activist, and an employee of the public and private sectors, roles that allowed him to enrich the lives of men, women, and children worldwide. Beach Institute Education Award – Dr. Clyde W. Hall – a former Savannah State College [University] acting president, vice president, chairman, and professor who began a career in education in 1950s, for his part in preparing thousands of students for careers in science and technology, Author of One Hundred Years of Education at Savannah State College 1890-1990(1991). Dr. Clyde Hall[/caption] style=”font-weight: bold”>W.W. Law Legacy – Judge James F. Bass, Jr. – for his unwavering commitment to continuing W.W. Law’s legacy of improving the quality of life for all citizens of Chatham County, through his work with the Georgia Legal Services Program, Access to Justice and Fairness in the Courts Committee, Coastal Children Advocacy Center, Beach Institute Historic Neighborhood Association, Ralph Gilbert Civil Rights Museum, and other contributions. Dr. Annette K. Brock, Chairperson of the KTCF Board of Directors, says, “These worthy Savannahians are committed to advancing civic and social opportunities for many. They have been involved in the city over a long period of time. The Awards Gala allows us an opportunity to recognize them for their efforts in improving the lives of all citizens”. The King-Tisdell Cottage Foundation was founded in 1981 by civil rights leader, historian, and preservationist W.W. Law. The mission of the Foundation is to research, collect, interpret and present African American history and culture through exhibits, art, films, lectures, oral history, tours and publications. The Foundation seeks to foster continued interracial understanding and appreciation of different cultures. Today, the Foundation manages the Beach Institute African American Cultural Center, which houses the internationally recognized Ulysses David Folk Art Collection and the art and artifacts from the African Diaspora, The Beach Institute Garden and Garden Level area, which houses the Gift Shop and the King-Tisdell Cottage. The KTCF Annual Awards Gala is the Foundation’s primary activity for securing operating and personal support. Individual tickets for the gala are available for $75.00. Tables and sponsorships are available. For more information, please contact the Beach Institute at 912-234-8000. Title sponsor for the Annual Awards Gala is Georgia Power. Major support for the Annual Awards Gala is provided by St. Joseph’s /Candler, Gulfstream and Savannah Morning News.